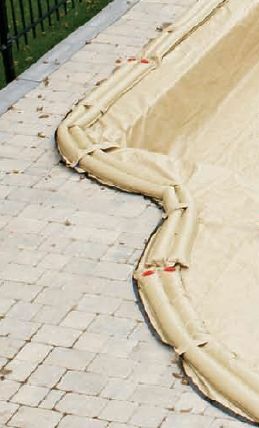 Water Tubes are a great way to secure your winter pool cover. These tan water tubes are 10 feet long with double chambers and double valves and are a perfect match for the Tan Armorkote winter pool covers. Our tan water tubes are made of extra durable 16 gauge material that won't rip or tear like cheaper water tubes. When filling the water tubes with water make sure you do not over fill them. Only fill about half way to allow for freezing.